If you need professional cleaning of the flat, house or business property which you have rented and plan to leave, we are at your disposal to provide it. We offer inexpensive and effective end of tenancy cleaning within Chingford E4 which ensures fully refunded deposits. Use our services to prepare your property for rent or inspection from inventory clerks or landlords. Our staff utilize top quality preparations, machines and tools for sanitising which provide fast and well done work. If you for any reason you, your landlord, estate agent or inventory clerk isn’t pleased with their work, our cleaning technicians will repeat it. Use our end of tenancy cleaning services which ensure fully refunded deposits, happy landlords, letting agents and tenants. They are implemented at a preferred by the customer date and time with advanced and qualitative cleaning machines, tools and preparations. Our staff hoover and mop the floors, use microfibre cloths and suitable detergents to remove stains, dust and mould. They wash and cleanse the bathroom and toilet, remove the lime-scale from the sinks and water-using appliances. 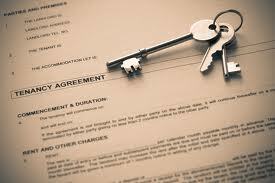 Book a free inspection of your rented property and we will prepare you a written estimate. We offer excellent end of tenancy cleaning to the property owners and tenants, available in Chingford every day. Our staff work during bank holidays and weekends with no change in the price. They have been trained and have the necessary experience to ensure effective and professional sanitising of one, two and more bedroom flats and houses. Call us and speak with out kind phone operators to schedule the end of tenancy cleaning which we offer in and near Chingford or receive more information about our services. We will take into account all of your demands when preparing your quotations.